Arielle Zuckerberg, Partner @ Kleiner Perkins Caufield and Byers. 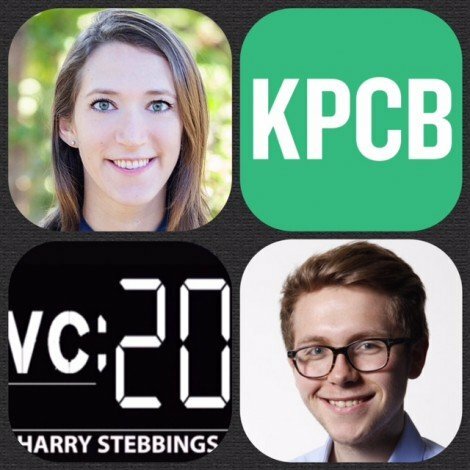 Arielle Zuckerberg joined KPCB in 2015 and focuses on early-stage investments in the firm’s digital practice as part of the venture team. Arielle joined Kleiner from Humin, where she led product for the company’s mobile apps. She started her career as a product manager by day and Hackathon host by night at Wildfire Interactive, Inc., which was acquired by Google in 2012. After the acquisition, Arielle worked as a product manager on social ads at Google. Outside of KPCB, Arielle has made several angel investments across the food tech and health sectors in the likes of Partender, Bitty Foods and The Ticket Fairy, just to name a few. We would like to say a special thank you to Mattermark for providing all the data used in the show today and you can check out Mattermark Search here! 1.) How Arielle made it into startups and the investing industry? 2.) What has the move been like from angel to VC? What theories and investment theses are adjustable? How doe the fiduciary responsibility to your LP’s adjust your risk profile when investing? 3.) Questions from Tyler Willis: How does Arielle evaluate new products? How does Arielle learn and how does Ariele come down on the learning curve on new things so quickly (new investor to KPCB in ~2 years, for example). 4.) Arielle has now spent her first few months in venture, what have been the biggest surprises? Biggest challenges? What is Arielle’s fave part and what is her least fave part? 5.) How does Arielle see the AI space now? Where does she see room for innovation? Is there anything Arielle is concerned about? 6.) Now when doing research for this interview I came across Arielle’s New Years Resolution list from 2012! So what are your new years resolutions for 2016? What are the goals you are aiming for? As always you can follow The Twenty Minute VC, Harry and Arielle on Twitter here!